FIND FREE MONEY FOR COLLEGE BASED ON MERIT, NOT YOUR HOUSEHOLD INCOME. Quickly locate over 15,000 merit scholarships offered by colleges around the U.S. in amounts from $2,000 to $40,000, including over 1,500 full-ride and full-tuition scholarships. Each listing includes the GPA, and ACT/SAT scores needed to qualify and the direct link to access the application. It even includes whether the scholarship is automatic based on grades and test scores, or whether it’s a competitive or talent-based scholarship. I'm ready to find free money to pay for college! 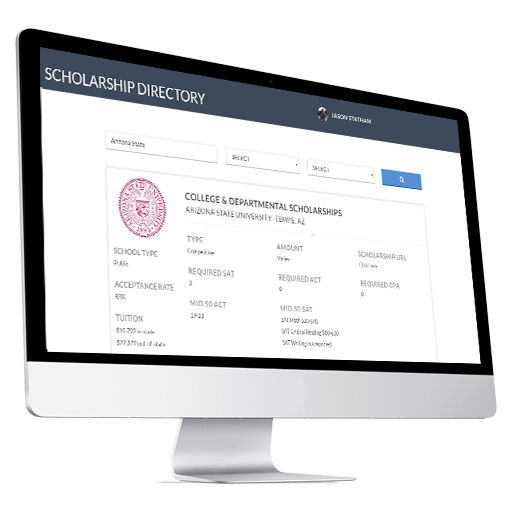 Regardless of your family income and net worth, this directory will help you to quickly locate over 15,000 merit scholarships offered by colleges around the U.S. in amounts from $2,000 to $40,000. This merit scholarship directory includes over 1,500 full-ride and full-tuition scholarships offered directly from the colleges. 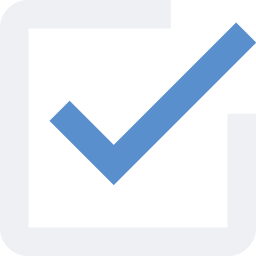 This directory is what every college-bound family is looking for - a simple, up-to-date, merit scholarship directory with all the scholarships offered directly from the colleges themselves. Find the minimum GPA, and ACT/SAT scores needed to qualify, plus the college’s link to quickly access the rules, regulations, and application for each scholarship. Avoid hundreds of hours researching college websites to find schools where your student would qualify for a top scholarship. Other scholarship search sites have mostly small private scholarships. Averaging only $500 each. They are difficult to search, loaded with advertisements, and families get annoyed quickly with them. ACCESS MERIT SCHOLARSHIPS I want to search over 15,000 merit scholarships. I make too much money to qualify for financial aid. Can I still qualify for merit-based scholarships? Absolutely! Colleges base their merit-based scholarships on academic performance or a particular talent. Merit-based scholarships do not consider a family’s income. What is the dollar range of merit scholarship awards on this directory? Awards usually range from $2,000 to full cost of attendance. Are merit scholarships on this directory offered for all four years? Most every merit scholarship is renewable for four years, provided the student meets the grade point average, progress-toward-degree requirements, and any award-specific requirements. How can I qualify for a merit scholarship? Most merit-based scholarships are based on academics or talent. Other criteria may include leadership, involvement in activities, geographical background, ethnic background, intended major, and career goals. You should always pay particular attention to the eligibility requirements and selection criteria for each scholarship. No, financial need is not a factor in the merit-based scholarship process at most schools. What effect will merit-based scholarships have on my financial aid package? If you received a merit-based scholarship, colleges might use it in calculating your financial aid award package. The college will usually reduce one or more of your financial aid sources to adjust for that merit scholarship. What is the difference between a private scholarship and a merit scholarship? Colleges award most scholarships based on merit. Students with academic excellence, or participate in extracurricular activities such as involvement in community service, have the best chance at receiving one of these rewards. Colleges do not award private scholarships, and they are usually smaller in amount. Are there scholarships available to out-of-state students? Yes. Many colleges offer merit-based scholarships to out-of-state students. Many times the amount of the award covers the out-of-state tuition premium.